The latest issue of ARMOR: The Professional Bulletin of the Armor Branch, is available for download. The majority of articles in this issue seem to deal with either leadership principles or logistics issues. Unlike cold war era issues of ARMOR, there is not much here that will be of much interest for AFV enthusiasts. From the Jan-Feb 1967 issue of ARMOR is this article on Swiss armor by British tank expert Richard Ogorkiewicz. A good deal of the article focuses on the Swiss Pz.61, a vehicle that was relatively new when the article was published. Today we present a two page article from the Nov-Dec 1946 issue of ARMOR written by the School of Tank Technology. This piece describes some of the technical considerations regarding tank gun design in the immediate post war period. In particular, the article discusses issues relating to mounting the gun in a tank turret and the role of recoil systems and muzzle breaks. When most people think of a gas turbine in a tank, they probably think of the M1 Abrams or maybe the Soviet T-80. However, the first MBT to utilize a gas turbine was the rather unusual Swedish “S-Tank” STRV 103. The S-Tank was the most unusual design of its day and its engine layout was unusual as well. Rather than have a single engine, the S-Tank had two, a 490 HP gas turbine and a 240 HP diesel. The tank could be run on just the diesel engine when stationary or moving at low speed, when moving at full speed both engines were engaged for a maximum power of 730 HP. 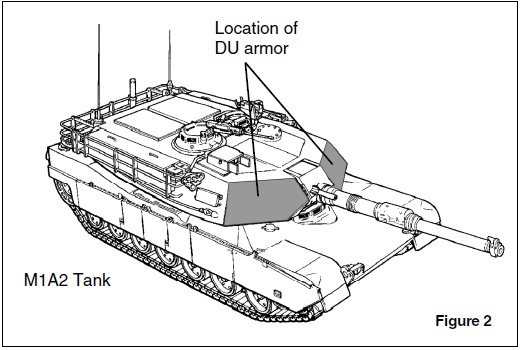 This article from the March-April 1973 issue of ARMOR details the design of the S-Tank layout. The article author is Sven Berge, the Swedish engineer chiefly responsible for the S-Tank design. Today we present a two part series written by tank expert and author Robert Icks originally published in ARMOR magazine in 1972. The subject of the article is simply “books about armor.” Obviously, many of the books mentioned in this article are out of print and forgotten, although a good number of them are still available through used book sellers online. Good stuff for the serious tank book nerd. Today we present an article from the 1968 July-August issue of ARMOR by Richard Ogorkiewicz titled “Thoughts on Future Tank Designs.” This article gives a pretty good summary of the state of the art in tank design in the late 60’s, illustrating the issues and thoughts that would go into the designs produced in the 1970’s. Also of interest is the picture on the first page, an artist’s interpretation of an overhead gun system. Page 2 states that the picture is courtesy of Continental Motors, who would later go on to develop the overhead gun system for the Teledyne Armored Gun System in the 1980’s. Today we present an article that appeared in the July-August 2000 issue of ARMOR concerning the use of depleted Uranium in tank ammunition and armor. The use of depleted uranium has been a source of controversy, with varying claims made as to it’s safety and environmental impact. This article gives an interesting look at what the US Army was saying about DU in the period between Desert Storm and the 2003 invasion of Iraq.